I am a d4 player but do not generally follow it with 'book move' c4. 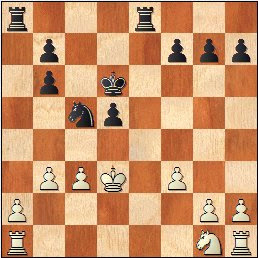 I play other non-standard moves like Trompowsky (1.d4 Nf6 2.Bg5) or Colle (1.d4 d5 2.Nf3 Nf6 3.e3) or Veresov (1.d4 Nf6/d5 2.Nc3). Similarly I try may uncommon replies from black side agains e4/d4/c4. I thought of creating this blog to exchange ideas related to these. Since leaving Milwaukee in October, I was totally out of over-the-board play...almost 5 months. Some players meet in a local library on Saturdays but nothing like SWCC or Waukesha clubs. Only 4-5 people come here and they mainly play quick unrated games. 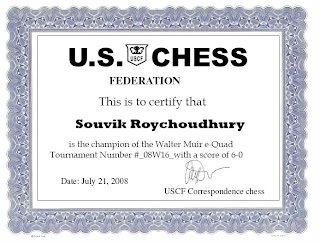 During this I was playing in Correspondence chess, winning a few Walter Muir events to keep my chess brain active. Realized, no matter how much I like chess, with a tough profession in IT and a family to maintain, I won't be able to play the whole weekend in tournaments. So the only option was to go for shorter time control with one day events. I do not do well in 60 mins or less but had no choice. So started playing in G/60 events in Marshall Chess Club in New York. They have this every alternate weeks. So far I played 3 events (28-Feb, 14-Mar & 28-Feb). Scored 3/4, 3/4 and 2.5/4 in these and go the under 2000 prize in all 3 occasions. The rating jumped from recent low of 1944 to 1955-1969-1974. Overall playing okay, still far from my best but getting there. Will publish the games in coming days. No matter what, I am still missing the folks & culture of SWCC. Played in Badger Open, this weekend. Finished 3-way second place with 4/5 points and won the class A prize solely. The only loss was against David Jin in rd 2 where I couldn't find right moves in time pressure in an highly unclear material up position. The loss cost me net 7 points even though I won 4 other games. Paul Fricano won the even clear first with 4.5/5. Congratulations to Paul ! Garvin won the Class B as clear first. Thanks a lot to Ashish, Gregory Reese and others for offereing a chance to play in Milwaukee after a long time. Very well organized. It deserved even higher participation. Games from the event to follow. I started playing correspondence chess this summer. The first tournament was Walter Muir (08WM16). Played following players two games each. I won the event 6-0. Overall I really liked it. I could play Ruy Lopez from black side after a long time ! I used to play e5 to e4 when I started playing chess (before moving to Sicilian). I actually played the variations I play over the board. The best thing is I could analyze some positions for days which is different from normal tournaments. I hope when these positions will come up in live events, I would make use of this experience. In summary, Corr chess is more like searching the truth in the position. 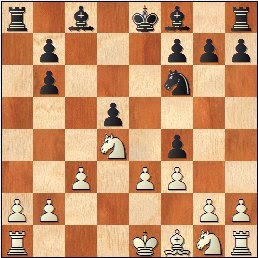 If you love chess and like analysing the position, bringing the deep secrets out, Correspondence chess is the way to go. Following are the games from the event. We are blessed with a baby boy on 19-Aug (Tuesday) morning at 8:54 am. He weighs 8 lbs and measures 20 inches. His good name is "Souriddha"..... (pronounce like sou-rid-dha) and nick name is "Titas". Boy and his mom are both doing well. Chess is a CRUEL game ! Albert Einstein once said, he never liked Chess because it is a Cruel Game. You play good-better-best moves for 3 hours, outplay your opponent and then make one error; just one error and you lose. There is no credit that the 30-40 moves before the error, you played so well. Compare that with say Football. You play better 3 quarters and scored a lot of points. Nobody can take back those points from you. Alas, Chess is a different sport. I still love it. Love it and Hate it. That it does not pay back for all the hard work before and during the game, so often. Following are some of my recent games where I was winning clearly and then came the villain move and I had to go back empty handed, with a lot of emotional pain along with. This is against Erik Santarious (2220) in Midwest team championship. I had a fotress and with draw secured. Bu I saced a piece as I wanted to win. And was winning as well. 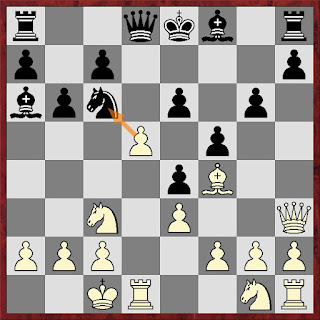 Simple Ne3+ followed by cxb4 and then Bxd5 (if needed) wins clearly. I saw that, thought for 10 mins and do not know why, played fxg6. Now my pawns on kingside are broken and lost their mobility. Erik blocked them and then in my time trouble won. Against William Williams (2200) from a closed position, I outplayed him and got a winning position. g5 traps the Rook.. Ne5 will be answered by de when his Queen is attacked. 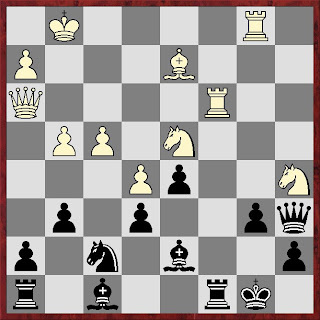 After Rh3, Bg4 wins the exchange with the threat of mate. I saw it when I played earlier Bf3+ but when the moment came, I just played Rg5 and then lost due to in time trouble. I would have crossed 2000 if I would have won this game. Again from Midwest team championship. Frist round against Yeng (1800). My team lost as I lost. If I would have won, we would have won (Sorry Parker, Paul, Cardenas). 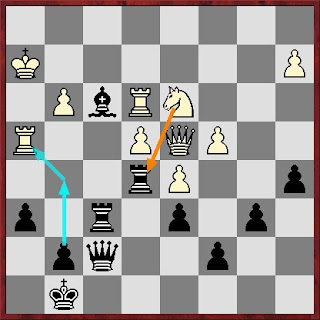 I outplayed my opponent in Nimzo India defense. Wanted to play Ra8 to exchange and simplify. But suddenly the flash buld (wrong one) was fired and I played c4 to avoid any check on light squared only to see Nf5 with Rg7 threat wins a Rook. Still I was very much on the game as his Bishop was bad, I have a pawn for exchange and all prospects to get through the closed queenside. But there followed the aftershock and lost as I opened the kingside to get back teh exchange. Just needed to play Qc8 and black still wins. But It was not to be this way. Played exf and some more errors in time toruble cost me the game which I felt I played better 98 mins but the last 2 mins shadowed the same. One consolation is Paul didn't lose the pawn, he saced it. So in one way, he deserved the same. 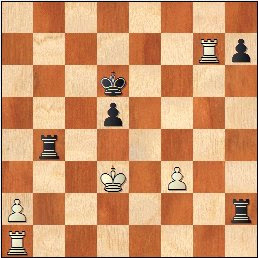 Recent loss from Waukesh tournament against Ivan Wijetunga (1830). 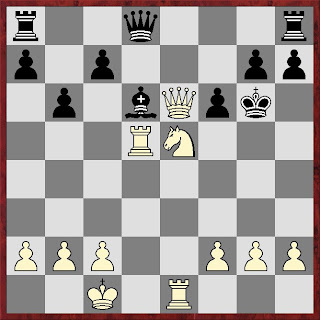 I do not think I will lose another game again with 2 pawns up and exchange up position ! Have you ever done anything similar ? 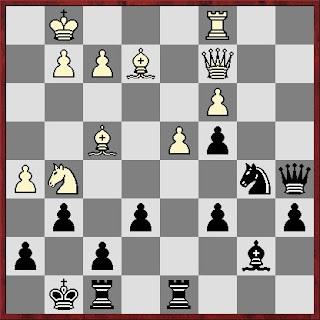 Black is winning and it does not need any expert analysis. 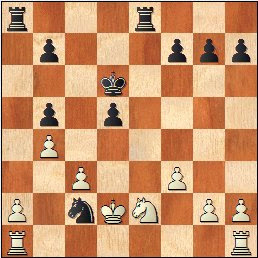 When I went for this position, i planned c5 to free the Bishop. In case of dxc Rc8 or Qa3 gets the pawn back. When the position came, I felt Rc8 is even better. 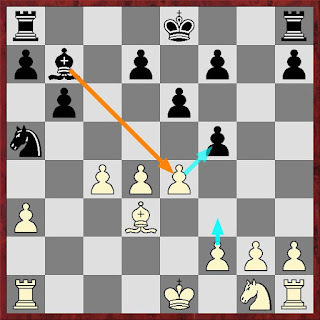 Bxc4 is met by Na3 when one pair of pieces exchanged leaving white not much stuff to justify an attacke for still pawn down and exchange down position. I saw castle allows Ng5 etc for a kingiside attack. 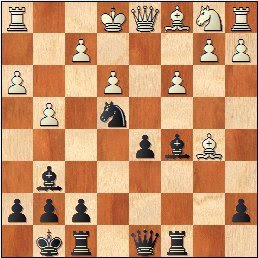 White had nothing at this position and giving him something was meaningless, especially when black had some many options. But I still castle and do not still know why. But an exchange and pawn is a lot of material. So I still had teh chance. I could still have played c5 or even the dumb Bc8 to avoid the Nxe6 sac. But I played Nd6 - Second Blunder .He took on g6 and saced on e6. It was still an equal position but I managed to lose. Finally this one also from the nightmareish team tournament where I lost 3 game in 5 round, all from winning position. His queen is overloaded, defending both d5 Rook and G4 Bishop. Simple g6 followed by Rxd5 gets the piece. This way I get an escape route for my King. I thought for a while but again for unknown reasons, play Rxd5 directly. Won the piece but he had mate threats and eventually in time trouble I managed to lose. Whom, if not me or God, shall I blame for this ? May be nobody. This is the name of the game. Chess is indeed a Cruel game. I could have lost the game ! Missed a knight fork and had terribly bad position - passive and underdeveloped. I was committed to try my best. My young opponent played a very good game and missed his chance narrowly. Well played Veech ! 1.d4 Nf6 2.Bg5 Ne4 The most common response 3.Bf4 c5 Sharpest variation....can be said the main line 4.f3 Qa5+ 5.c3 Nf6 6.Nd2 I liked to play d5 here which is a complex, tactical game and have won a convincing game again Fricano on this line. But against a young player, wanted to play positionally. 6...cxd4 7.Nb3 Qb6 8.Qxd4 cxd is just bad. 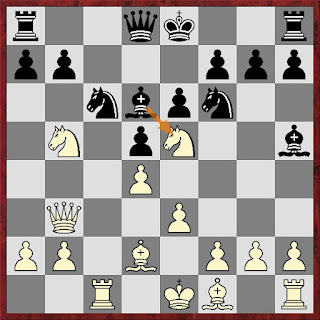 White's kingside is cluttered and black gets a free game 8...Nc6 9.Qxb6 axb6 10.Nd4 e5 11.Nxc6 exf4 12.Nd4 This is all theory and we played it within 1 min. 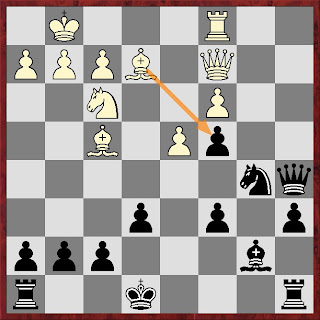 One funny point is if you put this position to Fritz or Rybk, it wl show aslight advantage to black. I must repeat white has NO ADVANTAGE in Tromp. Then why do I play this ? 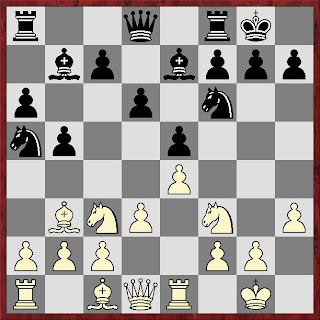 I play this because the positions are complex enough and one can play for win. My 70+% score in Tromp is because I played the middle gamm better than my opponent. When they were better (like Amanov, Santarious), I lost. 12...d5 Few other common response here are Nd5 (which I feel best) and Bc5. d5 is also comon. 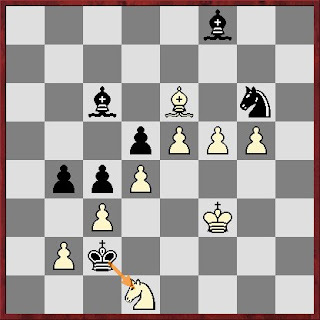 It frees the c8 Bishop and stops white's Nh3 move. 13.e3!? Here I planned Kd2 followed by Nd2. 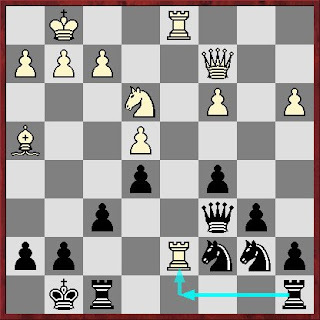 But suddenly saw that I am losing an exchange and a pawn and the game by a knight fork on b3 !! The a1 rook is undefended. 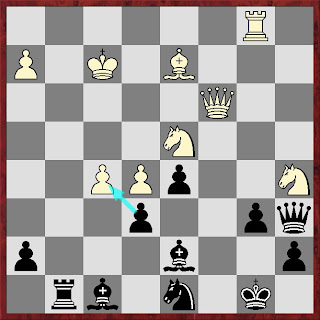 22.Kc2 Black is clearly winning here. Fritz assessment is black is 3 pawns up ! HOWEVER, I recently realizzed that I generally did not lose games with just one blunder. I always had another shot and when I lost, I lost for the second blunder. I was committed to apply that lesson and try hard and wait for my chance. 22...b5? Unnecessary waste of time. Ra3 wins easily. 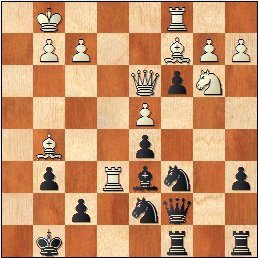 23.b4 I was desparate to complicate the position 23...Nd7? Na4 attacking c3 is much simpler. Black gave few tempo to white. Black has slight advantage only now. 24.Kd2? Counter favor. Kd1 was better as on d2, white gets into the knight check from c4. 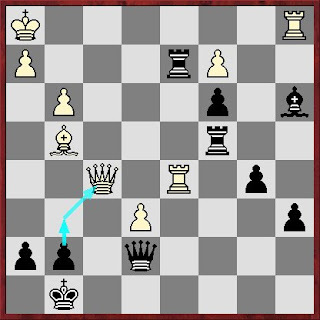 Black has again clear plus 24...Ne5 25.Ne2 Nc4+ 26.Kd1 Ne3+ 27.Kd2 Nc2!! I saw it is coming few moves back but could do nothing to stop it. If Veech played very well in this game. Excellent move. Following is the analysis of my last round win against Jeff Pokorsoski. I played for fun, took a a lot of risk and won eventually. My opponent played very solid but allowed himself to go to time trouble when he made a few bad moves to loose. Anyway, good game.